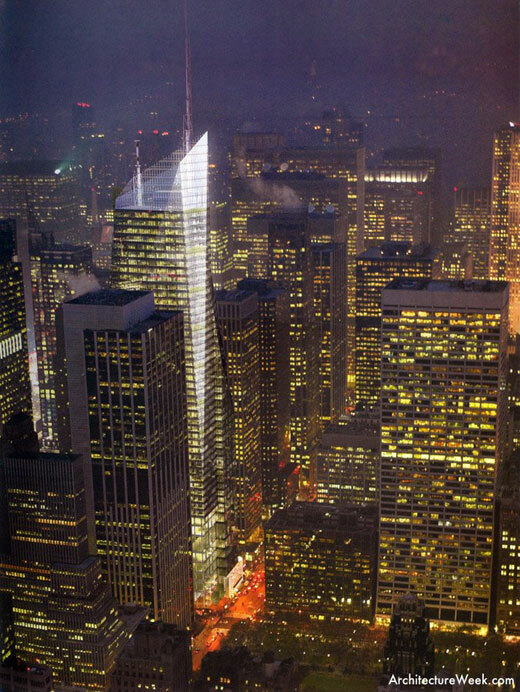 The Bank of America Tower will stand 288-meter tall at 42nd Street and 6th Avenue in Manhattan. Designed by Cook + Fox the building is expected to be the first LEED Platinum skyscraper. 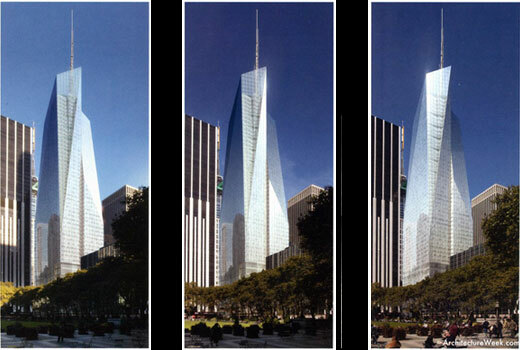 With 204,000-square-meter floor area, three-quarters of the building will be occupied by bank of America as its New York headquarters. The integrated strategies for this high-rise building focus on daylighting and indoor air quality, which foster human comfort and employee productivity. The double-glazed envelope consists of floor-to-ceiling low-iron, low-E glazing for maximum transparency and thermal performance.